The 2-(4,5-dihydro-4-((8-hydroxyquinolin-5-yl) methyl)tetrazol-1-yl) benzamide, symbolized by QTB is a new organic inhibitor synthesized and characterized using 1H and 13C NMR spectroscopies. The corrosion inhibition of mild steel in 1 M HCl by QTB was studied by gravimetric, electrochemical impedance spectroscopy (EIS) and potentiodynamic polarization methods. 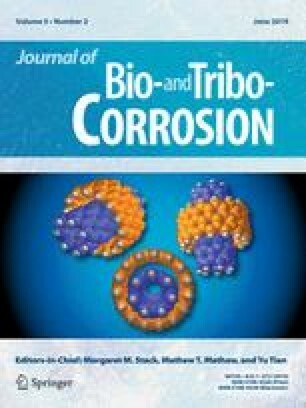 The temperature effect on the corrosion behavior of steel in 1 M HCl in the absence and the presence of QTB is studied in the temperature range 298–328 K. Inhibition efficiency of QTB increased with an increase in the concentration of inhibitor and decreased with the increase in temperature. The adsorption of QTB on the steel surface obeys to the Langmuir’s adsorption isotherm. The thermodynamic parameters of activation and adsorption were calculated and discussed. The relationship between molecular structure of this compound and their inhibition efficiency has been investigated by ab initio quantum chemical calculations. The Monte Carlo simulation was found to be in good agreement with the experiments. The online version of this article ( https://doi.org/10.1007/s40735-019-0233-9) contains supplementary material, which is available to authorized users.